Johnny Depp, Tom Cruise and Hugh Jackman are in a standoff over the use of their favourite London hotel suite as all three will be in the British capital at the same time. Johnny Depp, Hugh Jackman and Tom Cruise are in a standoff over a hotel suite. The trio of A-list actors are all used to enjoying the luxury of an unspecified London hotel, but two of the stars are to miss out on occupying their favourite suite when they all film in the British capital later this year. A source told The Sun newspaper: "None of these guys are used to being told they can't have something so it's a bit of a standoff at the moment. Hotel staff are finding it a bit awkward because they have to keep telling them it's still a problem. They're all loaded, so it's not a case of who can throw the most money around." The Hollywood stars will all be in London at the same time to work on separate movies. Tom (51) will begin work in on Mission: Impossible 5, Johnny (50) will film Disney's blockbuster Alice in Wonderland sequel, and Hugh (45) will play the villain in new Peter Pan adaptation Pan. 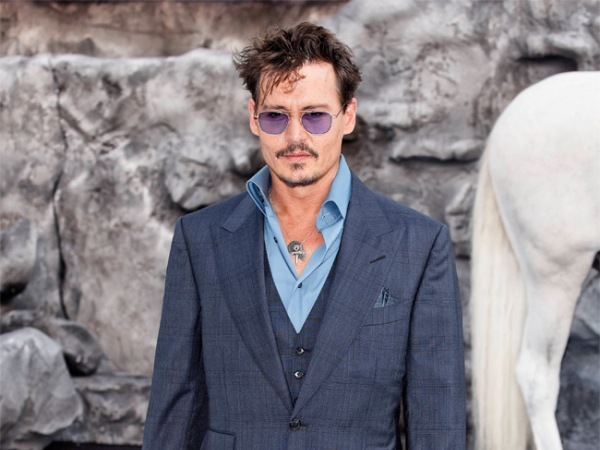 Johnny recently hosted a lavish engagement party with his fiancée Amber Heard (27) in Los Angeles. Guests, including Aerosmith frontman Steven Tyler, Mandy Moore, top Hollywood producer Jerry Bruckheimer and Marilyn Manson.